IUDs have become a popular method of contraception for many women, and for good reason. They are convenient, safe and very effective. While IUDs undoubtedly have many benefits, some women can experience an unwanted side effect: hormonal acne. 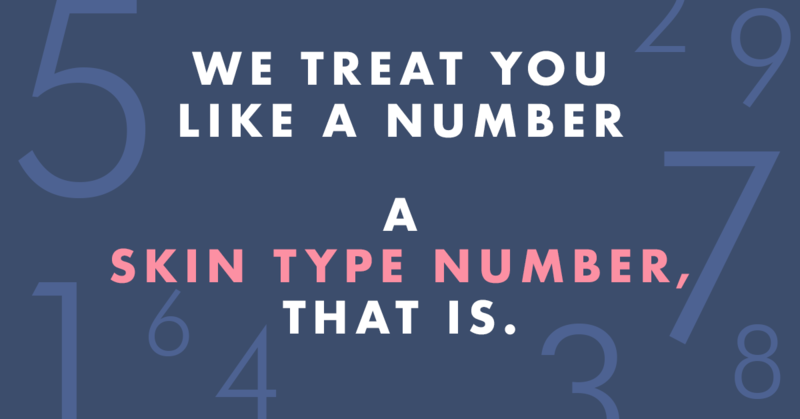 In this post, I’ll explain why IUDs can sometimes cause acne and how to manage this if it happens to you. You’ll also meet Amanda from Chicago. Amanda reached out to us on Instagram after experiencing hormonal acne for the first time. 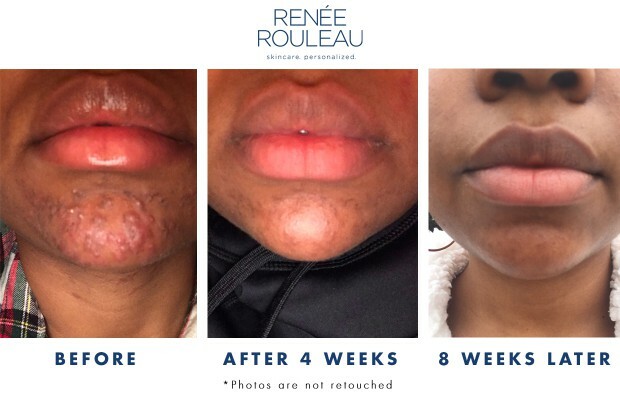 She suspected her breakouts were related to the IUD she’d had placed a couple months prior, and after doing some research she started using Renée Rouleau products to help clear her skin. We were so impressed by the before and after photos Amanda sent, that I personally called her for a follow-up consultation, at which point she kindly agreed to be profiled for our blog! 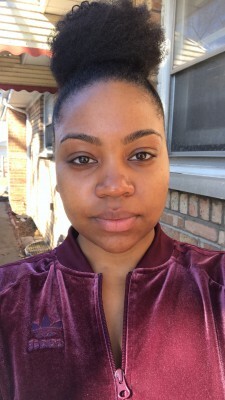 Keep reading to learn about Amanda’s skin care journey and how she got her breakouts under control, step-by-step. Do Hormonal IUDs Cause Acne? The short answer is…they can. 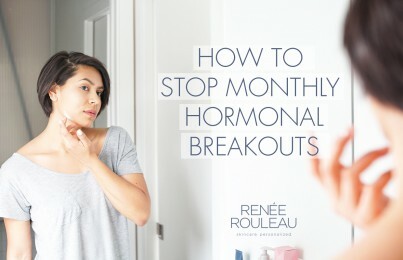 As a practicing esthetician, I’ve heard countless stories similar to Amanda’s and have come to my own conclusion that an IUD can be the underlying cause of breakouts for some women. The thing is, when it comes to acne, each person is unique. It’s important to keep in mind that it can be very difficult to pinpoint a single cause of breakouts but sometimes, through some detective work, you can discover the underlying issue. If an IUD is, in fact, the culprit behind your acne, breakouts typically start occurring 2-3 months after insertion. While IUDs can cause all types of acne (pustules, papules and cysts), I have most commonly seen them trigger cystic acne in the chin and jawline area. If you’re someone who is prone to cystic acne and have had it before, your risk for developing hormonal acne from an IUD may be higher. If this is the case, one option you can look into is ParaGard. Paragard is the only non-hormonal IUD approved by the FDA and uses copper to prevent pregnancy. Of course, talk to your doctor when trying to decide which form of contraception is right for you and be sure to tell them if you have a history of acne and are concerned about it. Certain types of hormonal contraception may actually be able to improve acne, and your doctor is definitely the best person to give you guidance on this. Amanda was used to experiencing the odd breakout here and there, but nothing more. Then, after getting the Mirena IUD in November 2018, she started experiencing an eruption of cystic acne on her chin in January, just two months later. Suspecting her IUD had something to do with it, Amanda got to googling. About a week after the hormonal acne on Amanda’s chin appeared, Sonia ordered the Rapid Response Detox Masque and Anti Bump Solution for her, and Amanda started using them regularly in her routine (now THAT’S what I call a good friend!). When Amanda sent me her progress pictures just ten days after starting to use these two products, she had almost no active blemishes left. What a success! A lot of our customers have had great results using these two products together, but talking to Amanda and seeing the contrast in her photos side-by-side was what ultimately inspired me to create our new Chin Breakout Kit. This kit includes Amanda’s two hero products, which I really wanted to put together to make this combo even more accessible to anyone struggling with stubborn chin and jawline breakouts. My favorite thing about this kit is that it uses a combination of ingredients to effectively tackle acne from all sides while still being really gentle on the skin. 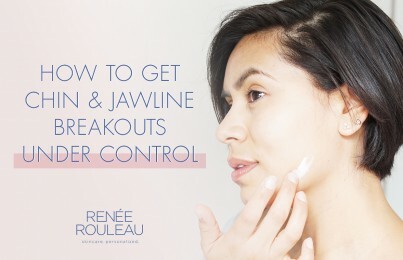 Get more tips on how to treat chin and jawline acne. 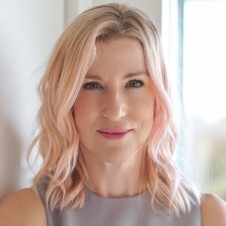 When I called Amanda for a follow-up skin consultation, I asked her these ten questions (that I also asked Heather) to see if we could discover more about the root cause of her breakouts. During our conversation, I learned that Amanda had started the Keto diet in December 2018. Because of the diet’s guidelines, Amanda was eating a lot more dairy than usual. When clients come to me with cystic acne, I often advise that they try cutting out dairy for at least three weeks to see if this could be a contributing factor. If dairy is the root cause of your acne, you’ll typically start breaking out within 24-48 hours of consuming it. Amanda’s acne started to appear a few weeks after she started her diet, so while the increase in dairy consumption could definitely have exacerbated her breakouts, it probably wasn’t the root cause. Amanda stopped following the Keto diet mid-January. Learn more about why dairy can cause cystic acne. As I said, by the time I spoke with Amanda, her breakouts were no longer active, but they had left behind rough, dark marks all over her chin. Post-inflammatory hyperpigmentation (caused by acne or any other trauma to the skin) typically affects those with darker skin tones more. This is because melanocytes, the cells that produce pigment, are already more active in darker skin tones, so when the skin is injured these cells produce an excess of melanin that causes dark marks to form. If you have a darker skin tone, it is extra important that you regularly use sunscreen to protect your skin against harmful UV rays, as sun exposure worsens PIH. Also be sure to avoid irritating the skin with harsh acne products, since this irritation can cause further trauma to the skin and lead to more hyperpigmentation. Read how to fade acne scars. When Amanda first started getting cystic acne on her chin, she cleared her active blemishes by using Rapid Response Detox Masque all over her chin at night twice a week and Anti Bump Solution as a spot treatment on her chin both night and day. Talking with Amanda inspired me to send her a few more products to help fade her hyperpigmentation and get her across the finish line. (*Full disclosure: At this point, I sent her four free products to help with discoloration.) I also advised her to start using Rapid Response Detox Masque three times a week instead of two. Two weeks ago (end of March 2019), Amanda visited her grandparents in Florida, and the combination of travel and change in climate caused her to develop a few new breakouts on her cheeks and forehead. I advised her to use the Rapid Response Detox Masque all over the affected areas for a minimum of five minutes every night to reset her skin. This took care of things, but I wanted to share this because it’s so common to have little setbacks like this when it comes to breakouts. Like I always say, there is no cure for acne, but the goal is to control it. Amanda is proof that you can handle whatever gets thrown your way when you use the right products for your skin type! Interested in more profiles like Amanda’s? These posts, combined with the regular blogs, are incredibly helpful in choosing and using a skincare regimen. Thank you for taking the time to do this.